Today’s Meet The Press began with a heated but substantive discussion between Massachusetts Governor Deval Patrick (D) and Ohio Governor John Kasich (R). On the presidential race, Patrick pointed to 27 straight months of job creation in America saying it is great, but we will never have the rate of job gains we need until Congress passes the jobs act. Kasich said the real problem is uncertainty in the business community created by talk in Washington, DC of higher taxes and more regulations (including health care and Dodd-Frank). This causes employers to sit on the sidelines rather than invest in new jobs, according to Kasich. Patrick says, everyone, including business leaders, know we will need some form of higher taxes as part of the larger economic solution, but this Congress has chosen to “put ideology in front of country.” On unemployment, Kasich acknowledges that Ohio is doing better than other states, but says he is accomplishing this with the wind in his face, and this is why he wants to see Mitt Romney become president. Patrick says that people should vote for re-election of President Barack Obama based on his economic record because it is “extraordinarily strong” given the headwinds he faced. Kasich predicts that Governor Scott Walker (R-WI) will win his recall election. Patrick predicts Elizabeth Warren will win her bid for the US Senate in Massachusetts. On the NBC News “Battleground” map, there are ten states considered too close to call with a total of 110 electoral votes among them. All ten are states President Obama won in 2008. In the roundtable, Atlanta Mayor Kasim Reed was a forceful advocate for President Obama. No Cory Booker moment for him. Kevin Madden from the Romney campaign and Neera Tanden, president of the Center for American Progress, both delivered their talking points, but they each started out rather tentative in their delivery. By the end, Madden came to dominate parts of the conversation while Tanden too often faded into the background. Longtime Republican strategist Alex Castellanos said the attacks on Governor Romney make President Obama look small. Not only can’t he fix the economy, Castellanos said, the perception is that Obama is throwing rocks at the people who think they can fix it. On the GOP “veepstakes,” Castellanos says to watch Louisiana Governor Bobby Jindall. Tanden said choosing Senator Rob Portman or Congressman Paul Ryan would give the Democrats new ways to attack Governor Romney’s economic plans. 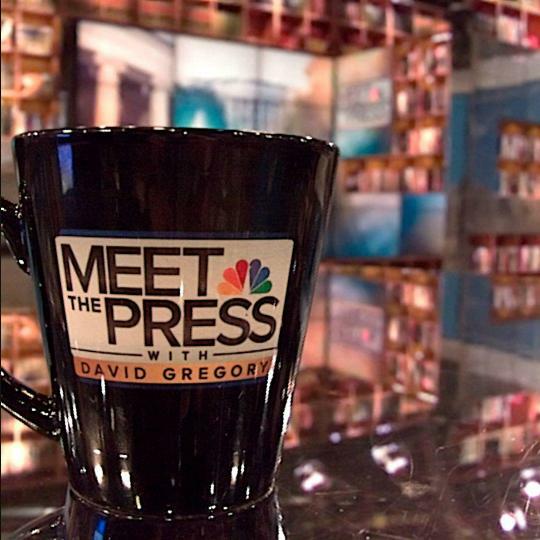 Note there will be no Meet The Press next week due to NBC Sports coverage of the French Open.